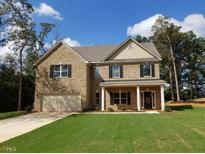 Find Covington, GA Homes for sale. View Photos, Maps and MLS Data Now! Pics Not Of Actual Home But Same Floor Plan With Media Room.. MLS#8567489. Sunrise Home Marketing, Llc. Lincoln Estates - Stock Photos..Pics Not Of Actual Home But Same Floor Plan MLS#8567495. Sunrise Home Marketing, Llc. Lincoln Estates - Stock Photos..Pics Not Of Actual Home But Same Floor Plan.. MLS#8567491. Sunrise Home Marketing, Llc. What An Amazing Opportunity At This Price! MLS#8567543. Re/Max Agents Realty. 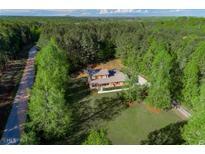 Reserve At Bear Creek - Huge Back Yard (5Ac) Full Size Unfinished Basement. MLS#8567200. Keller Williams Rlty Atl. Part. Spacious Master Bedroom Boast Hard-Wood Floors/His & Hers Closet. Spacious Laundry Room. MLS#8567465. Pinnacle Realtors. Riverstone Estates - Off Of The Kitchen This Home Features A Nice Deck With A Fenced Backyard. Professional Photos Coming Soon! 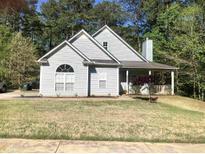 MLS#8567458. Owners.Com. Two Large Secondary Bedrooms Share A Full Bath Upstairs. 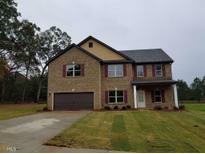 MLS#8567237. Algin Realty, Inc..
Large Lot, Side Entry Garage, Wrap Around Porch And Lots Of Parking. MLS#8567185. Wilson Realty Group. Call For The Complete List Of Upgrades Or Call For Appt Today- MLS#8566350. Re/Max Around Atlanta. Come See This One Today, You Will Fall In Love! MLS#8565919. Morris Realty Co Llc. Legends Of Ellington - Minutes From All Your Daily Needs And Entertainment. Make It Yours! MLS#8566089. B. A. Frericks Realty. Like New!! Golf/Swim/Tennis Community! Must See! 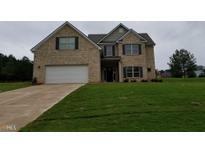 MLS#8565294. Pinnacle Realtors. Call Today To View This Home. MLS#8565035. Exp Realty Llc. *Up To A $1,000 Lender Credit If Approved With The Ellis Team W/Element Funding* MLS#8565714. Re/Max Agents Realty. Call Today To See The Inside! MLS#8565126. Carousel Properties, Llc. Low Maintenance Exterior Includes Vinyl Siding And A Nice Private Back Yard With A Porch. MLS#8565306. Norman & Norman Realtors. Barrett Woods - You Can Choose Between Walnut Grove/Youth Cluster Or Social Circle City Schools Red Building Will Not Stay With Property MLS#8565301. Heritage Realty. Call Now To Schedule Your Private Showing. MLS#8565420. Summit Realty Group. Make Your Appointment Today This Home Will Not Be On The Market For Long! 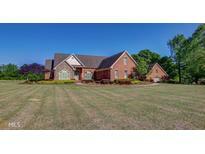 MLS#8564753. Keller Williams Chattahoochee. Mission Pointe - Seller Will Pay $7000 Towards Closing Costs, With Full Price Offer!! Call For An Appointment MLS#8564227. Stephens Development Group Llc. In Addition, The Hartwell Includes A Landscaped Front Yar, A Covered Front Porch And An Attached 2-Car Garage. 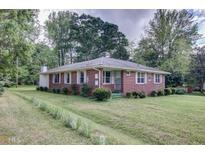 MLS#8564323. Lgi Homes Realty Llc. In Addition, The Hartwell Includes A Landscaped Front Yar, A Covered Front Porch And An Attached 2-Car Garage. MLS#8564309. Lgi Homes Realty Llc. The Dockery Is Offered At Ashley Meadows, Lgi Homes' Community Of New Homes East Of Atlanta In Historical Covington, Ga. MLS#8564291. Lgi Homes Realty Llc. The Dockery Is Offered At Ashley Meadows, Lgi Homes' Community Of New Homes East Of Atlanta In Historical Covington, Ga. MLS#8564301. Lgi Homes Realty Llc. These statistics are updated daily from the Georgia Multiple Listing Service. For further analysis or to obtain statistics not shown below please call EasyStreet Realty at 404-998-4152 and speak with one of our real estate consultants.